Cupcake wedding cakes are a great alternative to traditional wedding cakes. These wedding "cakes" are really just cupcakes displayed on cupcake stands. Yet many of these cupcake wedding cakes are quite fancy. You can really tailor them to suit your style. They can be small and elegant or they can be large and extravagant. Cupcake wedding cakes allow for each guest at the wedding to have their own individually decorated cupcake. A traditional cake is all one flavor. However, a nice benefit of having one of these types of cakes is that you can have different flavored cupcakes from which your guests can choose. These cakes can also be a lot more affordable than traditional regular cakes. This is especially true if you make it yourself. In fact, making one of these cakes yourself is not very difficult at all. *Have a caterer or bakery bake and design them just for you. *Buy them pre-made (and perhaps add some of your own decorations). *Bake and decorate the cupcakes yourself. You will also need to decide how to display them. There are a variety of cupcake stands from which you can choose. A caterer or bakery might be able to provide wedding cupcake stand(s) for you or you can purchase the stand(s) yourself. 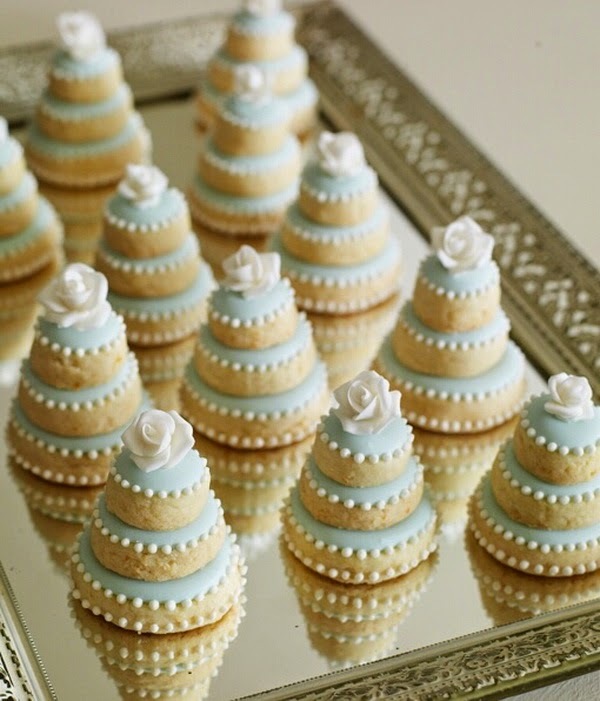 A cupcake tree is a very popular choice for displaying your wedding cupcakes. 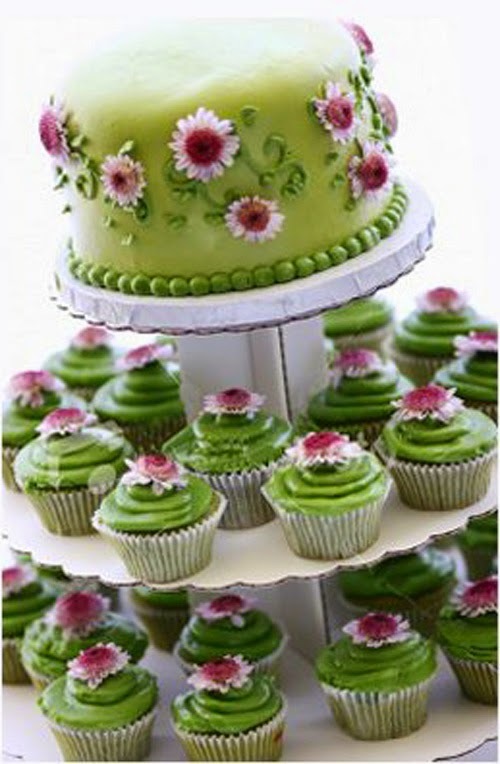 This type of stand can have individual holders for each cupcake, and when all the cupcakes are displayed in it, the shape resembles that of a tree. 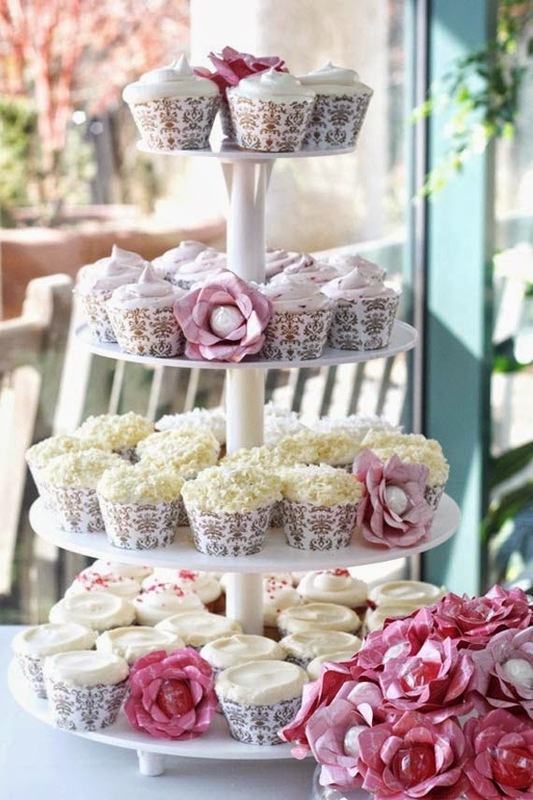 If you want your cupcakes to resemble a tiered wedding cake, look for cupcake towers that have tiers. Some couples want a cupcake wedding cake, but also want a small wedding cake so that they can participate in the tradition of cutting a wedding cake at their reception. 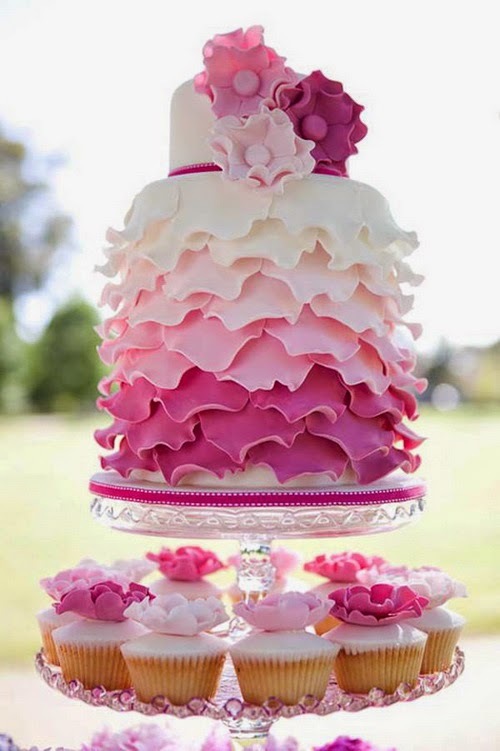 Some tiered cupcake cake stands are designed in a way that makes this possible. With these types of stands, a small cake can be placed on the top tier, and the lower tiers can be filled with cupcakes. It's pretty easy to color coordinate your cupcakes with your wedding colors. Just find frosting in these colors. You might also want to vary the sizes of your cupcakes - a mix of mini and regular sized cupcakes would look nice. Remember that you will have to transport the cupcakes to the reception location (unless the caterer does it for you). Depending on the number of cupcakes, it may be a lot to transport. Make sure you have adequate supplies to carry all of the cupcakes. Cupcake wedding cakes look lovely displayed on their stands, can be quite affordable, and are a wonderful and fun choice for a wedding.